The deaths of two inexperienced fishermen were caused by drowning due to misadventure, an inquest has heard. Rimantas Barauskas (57) of Oldcastle, Co Meath and Raimundas Jezdauskas (33) of Ballymahon, Co Longford drowned when the rib they were in capsized off Malinbeg on July 9th, last year. Donegal Coroner’s Court heard Mr Barauskas was found on a rocky shore the morning after the men launched the inflatable rib from Teelin pier while Mr Jezdauskas was located in the sea by the Rescue 118 helicopter after the alarm had been raised. Both men were seen wearing life jackets when they launched the boat. The inquest heard that factors involved in the accident included a strong westerly wind, the absence of an anchor in the boat and the consumption of alcohol by both men. Coroner Dr Denis McCauley said decision making may have been impaired by alcohol. Local man Paddy Byrne who runs a chartered fishing business said he saw both men launch the boat which had an outboard engine. He said it was obvious they were “fairly inexperienced” and they only appeared to have one fishing road. He alerted Malin Head Coast Guard to raise the alarm. 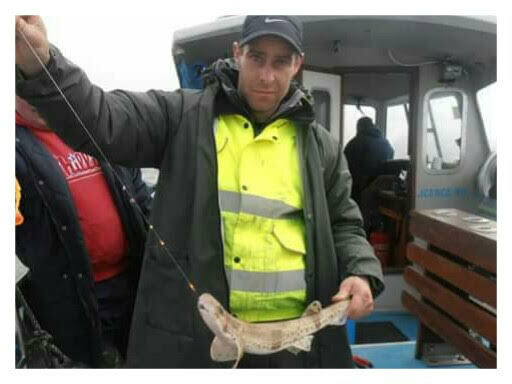 Brendan McGinley told the inquest he was walking at Malinbeg when he saw what he thought was a wetsuit lying on rocks. When he realised it was the body of a man he alerted the coast guard. The body was not wearing a lifejacket but one was found strapped inside the boat. Garda McCrossan said a force six westerly wind had blown up the day before. He said he believed the rib was blown in an easterly direction by the wind and that it bounced off the reef and capsized. One side of the inflatable was deflated and the extent of damage to the hull of the boat suggested the engine was not running when it struck the reef, he added. The inquest heard Mr Barauskas had an alcohol level of 358 milligrammes in his urine, which Dr McCauley said was seven times the drink driving limit. Mr Barauskas’ son Andreas said his father had bought the boat, his first, in March. He had travelled regularly to the area to go fishing and had taken the boat out at least once a month since he bought it. His father and Mr Jezdauskas went fishing regularly together. A Bundoran RNLI vessel which was on a training exercise was directed to a body in the water by Coast Guard helicopter Rescue 118. Crew member Kealan McNulty said they recovered the body of Raimundas Jezdauskas from the water. He had been wearing a life jacket. Mr McNulty said the area the body was recovered could be treacherous due to tidal movements. The inquest heard Mr Jezdauskas had 322mg of alcohol in his urine. The coroner's court found both men drowned and the deaths were due to misadventure. Dr McCauley said the deaths were accidental but there were risks associated with the decision making.